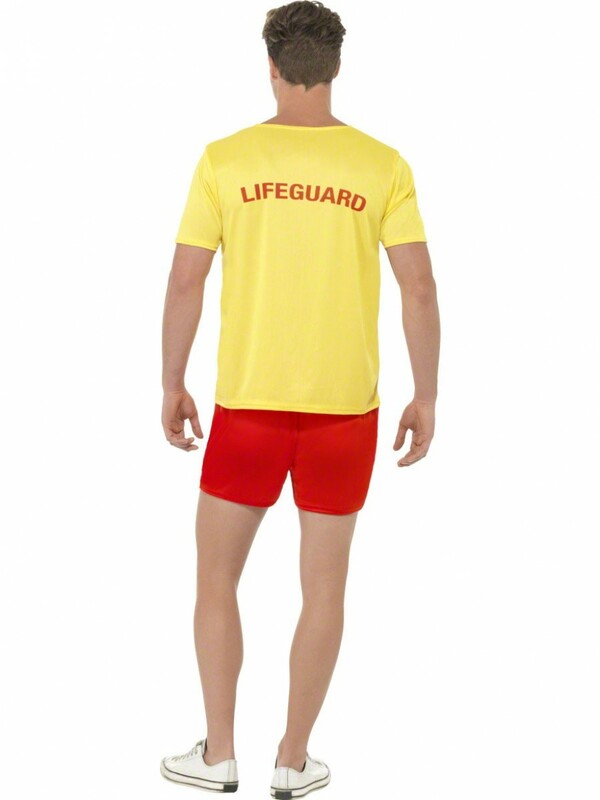 Licenced Baywatch costume which includes Top & Shorts in a classic lifeguard design. Ideal for character themes or 90s decade! 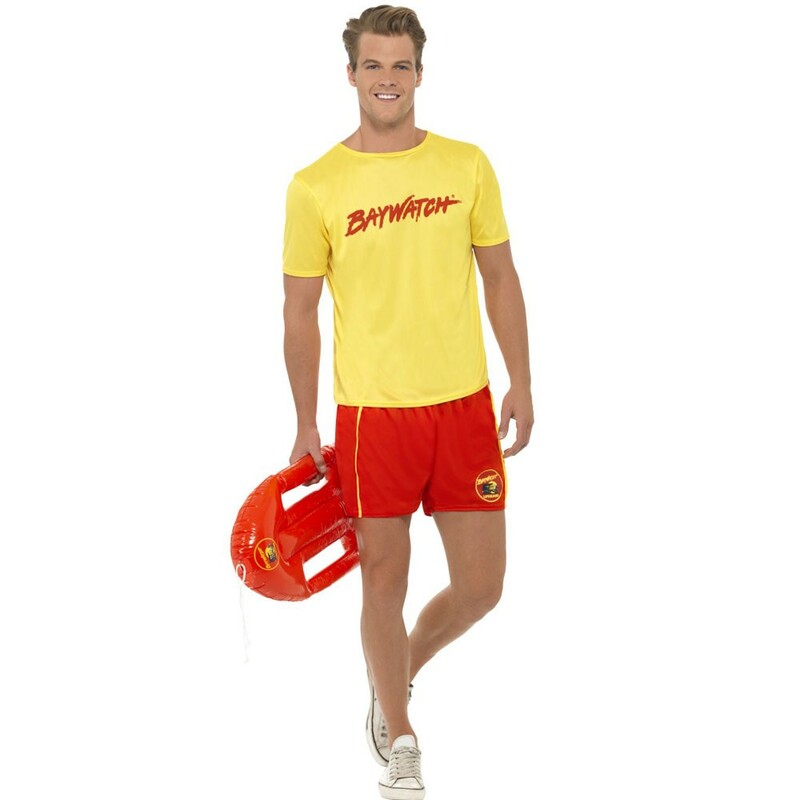 The costume includes a Baywatch classic style Top and Shorts. The top has LIFEGUARD across the back and BAYWATCH on the front in the iconic logo writing. 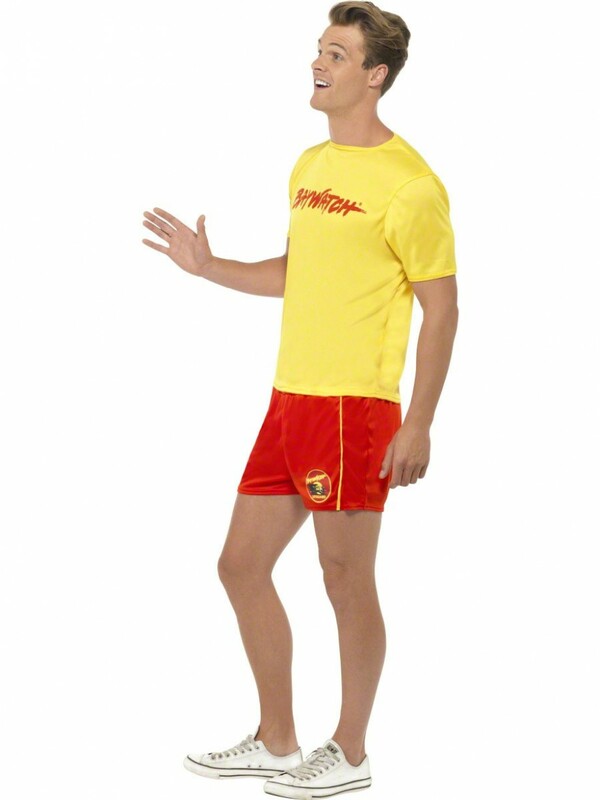 The shorts have the official Baywatch Badge on the front and elasticated waist. The material of the costume is soft and lightweight for comfort and sizing flexibility. 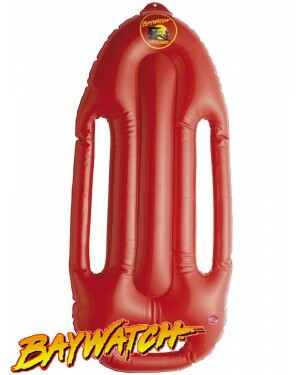 Based on the iconic costume worn by characters such as ‘The Hoff’ (David Hasselhoff) this official Baywatch outfit is great fun for character themes, 1990s or any fun fancy dress occasion. Licenced costume which includes Top and Shorts. Please note that the float is not included, but can be purchased separately to complete the look!